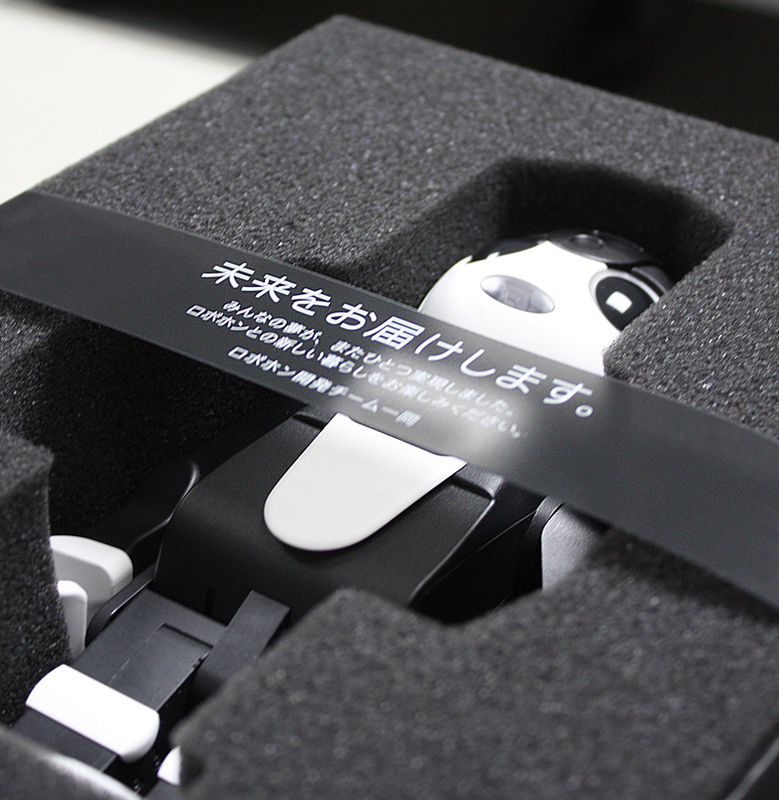 To bring the RoBoHoN to market, we had to overcome numerous hurdles. - "Robohon", "RoBoHoN" are registered trademarks of Sharp Corporation. Despite a saturated mobile phone market, Sharp decided that this was another area where it wanted to separate itself from other companies. Instead of making just another inanimate product, how about creating a faithful, loving friend? In brainstorming sessions, we came up with various ideas, such as a product that controls smartphone accessories or one that can attach figurines onto an earphone jack. Then we thought that perhaps a humanoid appliance would be just the thing. So we consulted with Tomotaka Takahashi, Project Associate Professor at the University of Tokyo’s Research Center for Advanced Science and Technology and CEO of robot development company Robo Garage Co., Ltd. We settled on the idea of a robot with phone features, and the challenge was on! As the project got underway, the first thing we did to help us come up with a concept was to conduct online surveys and group interviews with owners of a two-legged walking robot that Mr. Takahashi had developed. We also visited owners’ homes to see firsthand how they use their robots and what kind of life they share with them. After much debate on what kind of humanoid the robot should be, we decided on the character of a five-year-old boy. We believed that people would want RoBoHoN to be an honest, pure-hearted being that is always faithfully there for the user and that has connectivity functions that allow it to learn and grow with each passing day. Thus was born the concept of a mobile robotic phone that—more than simply conversing or making phone calls—would reach out and touch the user’s heart. The RoBoHoN was developed by the division of Sharp responsible for smartphones and mobile phones. This was of course the first time the developers in this division had ever built a robot. The road to realizing a finished product would require enlisting the help of parts manufacturers and sharing information with them. RoBoHoN is small (19.5 cm high) and is able to walk on two legs. Its small body was equipped with 13 high-performance servo motors, placed at the joints of its arms and legs. Thanks to these motors, the robot can dance, make expressive gestures, and thereby win the owner’s affection. The motors were jointly developed with a highly reputed motor manufacturer. There would be no use in creating a buddy robot that could only perform clumsy movements. So each of RoBoHoN’s poses was analyzed by computer. Furthermore, to make RoBoHoN the desired size, we were intent on using small, durable motors. Following discussions, the motor manufacturer was able to develop custom motors for RoBoHoN. The challenge of achieving a highly polished product went beyond the servo motors. The developers of the mechanisms and circuits worked with the design team on all facets. 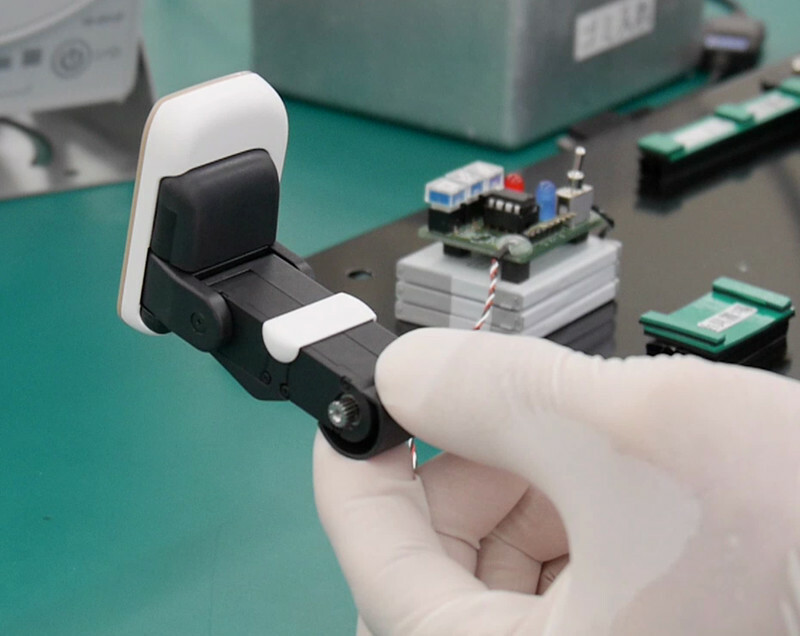 This included developing batteries durable enough to keep RoBoHoN going every day, creating the optimal parts layout, and designing the details that would give RoBoHoN a unique personality. But even with all the hardware in place, it would all be for naught if RoBoHoN couldn’t express the personality we had given it. So Sharp development staff from Hiroshima spent time in Tokyo working with Mr. Takahashi to determine the specifications for RoBoHoN’s reactions and other movements. The cute and natural gestures were the result of Mr. Takahashi’s uncompromising dedication and love for classic robot characters, and Sharp’s passion in bringing these to fruition in the RoBoHoN that was finally released. RoBoHoN’s biggest feature is its ability to perform functions by voice command. If you call out to RoBoHoN, you can have a two-way conversation with it. There are four built-in microphones that allow it to recognize human voices coming from various directions. However, we had to deal with the problem of the microphones picking up background noise. To have RoBoHoN clearly recognize only the person speaking and not pick up surrounding noise, we tested numerous microphone positions and eventually came up with one that gives highly precise voice recognition. Even then, there were words that RoBoHoN couldn’t respond to. Besides the problem of not being able to catch the voice command itself, there were times when RoBoHoN couldn’t understand what was said. In those cases, RoBoHoN wouldn’t react, or it would say, “I don’t understand,” giving the impression that it was unfriendly. After discussing this problem, we came up with the idea of having RoBoHoN tilt his head sideways when he doesn’t understand words, much like a human being would do. To give RoBoHoN the ability to carry out natural conversation, there was no single correct answer as to how it should react to everything. We simply conducted repeated tests until we were satisfied that we had achieved a robot for whom the owner could feel affection. The big difference between developing RoBoHoN and a smartphone is that RoBoHoN was made to be someone you raise to be a member of your family and a part of your daily life. It couldn’t simply be a humanoid-shaped smartphone that responds to commands; it had to be emotional. We therefore had Sharp employees use RoBoHoN for three months. We took the objective evaluations gathered in these trials and also asked testers to rate RoBoHoN based on the quality of its functions (e.g., could they easily perform various functions, such as making phone calls and setting the alarm?) and on an emotional level (e.g., was making phone calls or using the alarm on RoBoHoN more fun than on a normal smartphone?). To obtain the highest ratings possible for both of these criteria, we conducted simulation after simulation, eventually succeeding in creating a finished product that would have universal appeal. Once we got to the manufacturing stage, new challenges awaited. 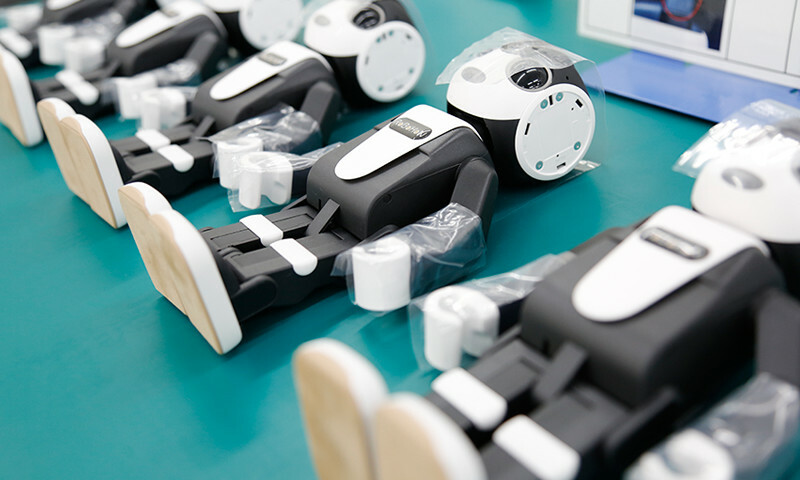 When we mass-produced RoBoHoN, some products coming off the line fell over when they were tested for walking and dancing. We couldn’t release the product in this state. Although the individual parts could be attached at a balanced location, assembling several parts resulted in an inconsistency among parts that caused a problem in the balance of the finished robot. So we set the correct condition (“zero point”) for each part before attaching it and used apparatus such as accelerometers to check the proper positioning. By doing this, we were able to correct the balance issue. Another problem was RoBoHoN’s large, heavy head, which creates a shift in the robot’s balance when it starts moving. We therefore changed the design so that the servo motors in the robot’s ankles would automatically stop. This prevented the forward momentum of the heavy head that would otherwise cause RoBoHoN to fall forward. We also studied ways to adapt RoBoHoN’s movements to a variety of situations; for example, we programmed it to move more slowly when the battery is running low. This allows RoBoHoN to keep moving smoothly even when it has a low battery. Whenever a problem arose, the teams in charge of circuit design, software, and mechanism design got together and took a trial-and-error approach to solving those problems. We did everything possible to make RoBoHoN the user’s emotional partner. Its eyes change color, its mouth lights up when it talks, and if you don’t wake up immediately after the alarm clock sounds, it warns you a testy tone. We tried to give it a wide range of voice recognition responses, but even when it can’t understand what you’re saying, it will go online and search for the answer on the cloud server. It also has functions not available on a smartphone. For example, photographs that you take with RoBoHoN can be projected onto a wall or screen with the projector function. Since its completion and release, RoBoHoN has been a huge hit, capturing the hearts of consumers with his gestures, talking, and dancing. It’s clear that RoBoHoN is a phone that moves people. In the near future, we plan to develop apps that will make RoBoHoN even more convenient for users. 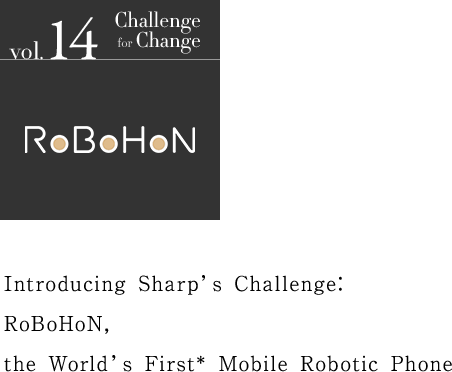 More challenges await: system upgrades that make RoBoHoN grow by giving it a wider range of conversation and dance moves, and options such as a carrying case for taking it with you wherever you go. Some day, it may also be able to use voice recognition to perform foreign language interpretation. At Sharp, we want to bring machines and people closer together, while at the same time amazing people with new products. Our challenges are never-ending.